Peter Went was most recently at CLS Bank International, a cash settlement system for the global FX market where he was responsible for its service that provides regulatory capital relief in the OTC FX derivatives space. Formerly he was also responsible for that bank’s currency expansion efforts to include additional emerging market currencies. Peter has expertise leading complex, multi-year international financial projects partnering with central banks, regulators, financial infrastructures, and large international financial institutions. His experience also encompasses the development of trading strategies for FX, equities, and commodities, the strategic assessment of Tier 1 banks during the financial crisis, and the regulatory impact analysis of Basel III on banks and emerging markets. As a globally recognized expert, Peter has participated in numerous webinars, seminars, and briefings with international audiences on topics ranging from distributed ledger technology, financial regulation (Dodd-Frank Act, Basel III and EU capital regulation), quantitative analysis and modeling, to risk management. He has authored and co-authored 5 books on risk management and several articles on regulation, risk management, and investments. As a member of Woodlands Bank’s Board of Directors, and the Chair of its Governance Committee, Peter led the development of a risk-aware governance framework for the bank, which improved financial performance and increased credibility among investors and regulators. Peter earned a Ph.D. from the University of Nebraska, is a civilekonom from Stockholm School of Economics, and is a CFA charterholder. 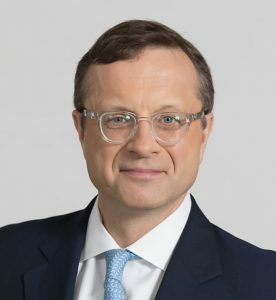 He has held academic appointments at Bucknell University, the Central European University, and the University of Connecticut. Currently, he is a lecturer at Columbia University and holds leadership roles at various for-profit and not-for-profit boards.